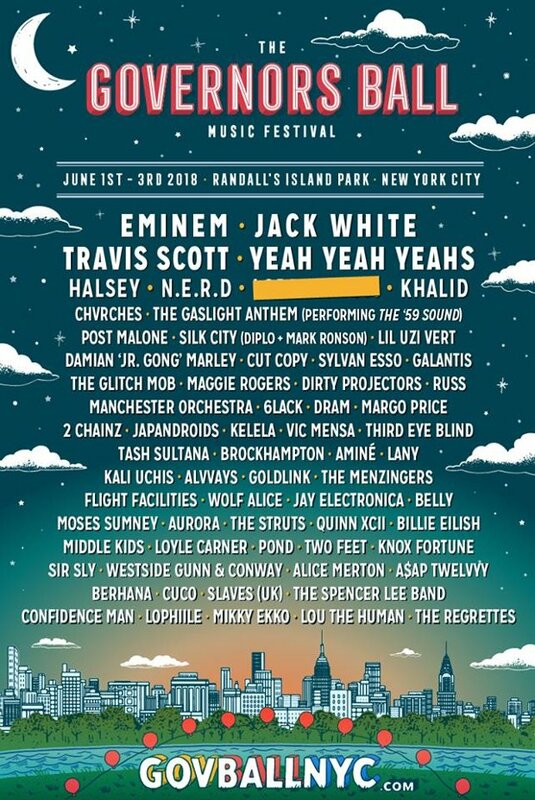 Set for June 1 through 3 at Randall's Island Park in New York City, the festival regularly features a mix of musical genres along with both veteran and modern artists. Also headlining are Eminem, who was just officially announced as a Coachella headliner, Travis Scott and the Yeah Yeah Yeahs. Along with White and Eminem, Damian "Jr. Gong" Marley, Third Eye Blind and Belly, who just reformed in 2016 after being apart for two decades, fill out the ranks of veteran artists.